Rachel's work as a director/dramaturg/instructor has been seen in Australia, across the US and Canada in a 20 year career that spans Moliere, Shakespeare, Stoppard, Dostoevsky, singing appliances and, Starball-A Dreamy Musical Astronomy Show, that has been seen across the US and in Spain. A member of Seattle's award winning company, theater simple, since 1997, she has directed/created many shows with them including, Notes from Underground, Escher's Hands, Body Language (by company member Monique Kleinhans) Jeffrey Hatcher's Three Viewings and the company created adaptation of The Master and Margarita which was named "One of the Great Theater Events of the Decade" by The Stranger. Her most recent project with the simpletons was a reworking of two different versions of their 1999 adaptation of The Snow Queen one of which was performed in a theater with 5 actors and the other of which (entitled Gerda's Journey) was performed (with a much larger cast) in several different parks across Seattle. Both versions then went to Australia. 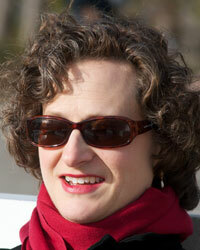 For Seattle's Annex Theatre, she has directed Blind Spot by Bret Fetzer and Juliet Waller Pruzan. It was a staged radio documentary set in the many micro universes (dust bunny farm under the bed, cabaret in the refrigerator butter dish, cult headquarters in a light fixture, etc.) of an 8 year old girl's house. Classy Nonsense: An Evening of Comic Tunesimthery by Dan Hamann and Passport-8 Short Plays of Love, Lust and Betrayal by Bret Fetzer. Each play was set on a different continent, with the last play set in orbit around Earth. She assistant directed Stephen Wadsworth's production of Lohengrin at the Seattle Opera. Her next show is a ten minute version of Waiting for Godot, adapted by Sean Belyea for Pony World's Big Story Small. At the University of Minnesota Duluth, she directed The Philanthropist by Christopher Hampton and the world premiere of Rick Davis's new translation/adaptation Calderon's Life is a Dream for the University of Minnesota?Duluth. Smith and Kraus published this translation in 2009. She has taught at Lewis & Clark College, University of Minnesota-Duluth, University of Washington and Taproot Theater in Seattle. In addition to the Sandbox, she is a proud member of AGMA, and the Lincoln Center Director's Lab West. She lives in Seattle with her husband and two sons.